The proposal for a Higher Education Commission of India has not the slightest semblance of an articulated vision for the country. The first University Education Commission in independent India (1948-49) was chaired by the scholar S. Radhakrishnan, who became the first vice president and the second president of the country. Among its members was Zakir Hussain, an educational thinker who had chaired the Basic Education Committee (1938) and co-founded the Jamia Millia Islamia, and also became the president of India. Its first meeting (December 1948) was at Delhi University, and within a year and a half the commission had travelled to most universities and institutions across the country, and submitted a voluminous report, which continues to serve as a policy benchmark on higher education, its aims and visions. 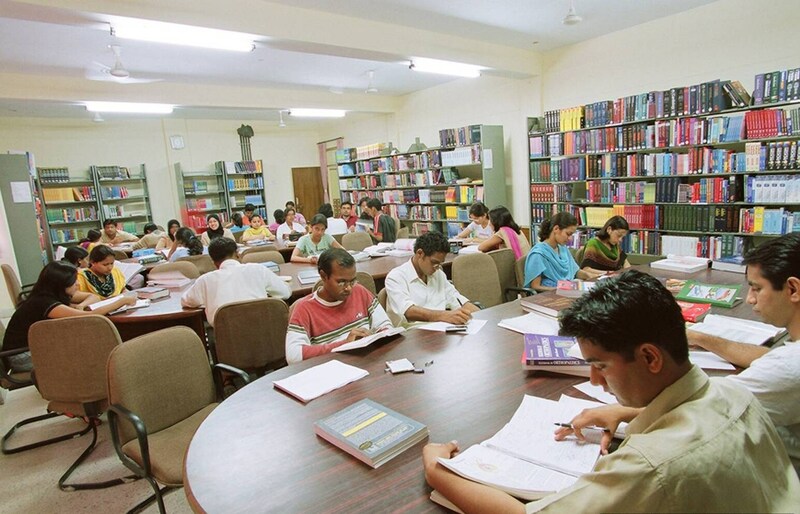 Appraising established universities and innovative experiments in rural education, such as at Shantiniketan and neighbouring Siriniketan, and the vision of the People’s College in Denmark, the Commission laid out an extensive roadmap for setting up new universities to meet the demand for “every type of higher education, literary and scientific, technical and professional, to enable the country to attain, in as short a time as possible, freedom from want, disease and ignorance”. It elaborated on an integrated curriculum, envisioning an equal status for diverse areas such as liberal, professional, technical and vocational education. The report warned of intellectual arrogance that looks upon combining “work and study or ‘practical’ courses, especially those calling for manual craftsmanship, as suited to inferior minds, while professional courses are for intellectuals. This separation of skill of hand from skill of mind has greatly retarded the mastery of the physical world and has been a major cause of poverty, especially in India”. With tremendous foresight, it had questioned the exclusive and commercial status of ‘professional education’, stating that “the difference between professions, practised primarily for human service, and business and industry followed for profit, has largely disappeared. Also, the time has passed when scholarship and disciplined preparation were the marks of only a few traditional fields. Any useful calling for which a high degree of preparation has been needed and has been made, and which is pursued in a spirit of service to the public, deserves the name of profession. The spirit of democracy will not tolerate the monopoly of that term by any privileged group”. Articulating the aims, theory and practice of university education within the constitutional mandate of democracy, justice, liberty, equality and fraternity, the Commission report began by delineating “Universities as the Organs of Civilisation – the sanctuaries of the inner life of the nation”. It stated that India must turn for guidance not to those who are lost in the mere exigencies of the passing hour, but to her persons of letters, of science, her poets and artists, her discoverers and inventors – to such intellectual pioneers of her civilisation, to be found and trained in its universities. It acknowledged that any reform requires careful thought and planning, and looked at universities as ‘homes of intellectual adventure’, that nurtured justice by creating leaders in all walks of life, capable of intellectual analysis and imaginative insight. Significantly, its section on liberty begins with its vision on autonomy of universities, and an unequivocal call to resist state control. This is very significant to several strongly contested issues in the current policy formulations on higher education. A major focus on rural universities and people’s colleges was meant to engage scholarship, experience and research for the social good, to build rural industry, support agriculture, run public health and water management services, etc. This envisioned the reconstruction of rural life to release India’s vast creative energies that remain “bound in the chairs of privilege, prejudice, exploitation and ignorance”. This demanded flexibility and freedom for creative higher education, not ‘destroyed by a system of uniform external examinations’. Ironically, policies continue to capitulate before a regressive system of examinations which continues to cripple education across the board – from the present Right to Education Amendment Bill in parliament, seeking to again allow ‘external’ board examinations and detention of children from as early as age eight years, to the present struggle in university enrolments based on a distorted board examination doling out bizarre marks. The proposal for a Higher Education Commission of India (HECI) 2018 has not the slightest semblance of an articulated vision for the country, other than imposing direct state control on higher education institutions, through transferring all financial powers from the University Grants Commission to the Ministry of Human Resource Development. A prominent function of the proposed HECI includes ‘taking measures to promote the autonomy of higher educational institutions for the free pursuit of knowledge, innovation, incubation and entrepreneurship,.. and providing for comprehensive and holistic growth of higher education and research in a competitive global environment’. This last phrase makes the neoliberal agenda more than apparent, where autonomy is a euphemism to make institutions fend for themselves, and contend with the forces of the market. The government is already pushing colleges to seek ‘autonomy’, under the ostensible veneer of ‘academic excellence’, allowing them ‘freedom’ to set their own norms, including criteria for selection of students, setting of fees, teachers’ recruitment and salaries, design of courses, along with a host of other administrative and management functions. This is tied to reduced funding and salary grants from the UGC, which institutions are expected to raise themselves, through corporate sponsorships, consultancies, etc. Many universities and college faculties have been strongly opposing this move towards ‘autonomy’, seeing it as a brazen route towards commercialisation and increased marginalisation or complete exclusion of students from socially oppressed and economically weaker sections. Recent policy moves from the government on research grants to students or on ensuring reservation in teaching positions too have led to massive protests from university students and teachers and shown that the present disposition is in no way committed to ‘academic autonomy’ as was posited by the University Education Commission 1949, nor does it share its constitutional mandate of democracy, justice, liberty and equality. Indeed, the governments in Delhi, at the Centre and in the state of Delhi, have not included educationists in education policy making, while administrators, civil society organisations or corporate partners have been subsumed for the task. In fact, governments do not seem to need formal policy documents any more (the promised yet elusive education policy is a case in point), while ministries feel free to implement programmes and schemes through bureaucratic fiats. Repealing the UGC Act and naming the new regulatory body as the HECI, with little academic ‘autonomy’ itself, whose composition and functions are largely controlled by the government, does not lend credence to its professed role in promoting quality higher education. Moreover, coupled with its unilateral and absolute powers to authorise, monitor, shut down, lay down norms for graded autonomy or standards for performance-based incentivisation, and even recommend disinvestment from higher education institutions, this body deludes hope in the future of higher education, and further distances itself from the early policy vision of an equitable, transformative education in hope and courage. 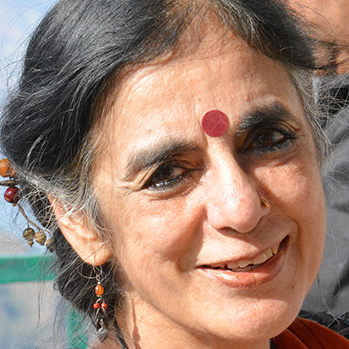 Anita Rampal is at the Faculty of Education, Delhi University.